Reno Vitale and his wife Enza and family moved from southern Italy to southern Illinois in 1970. 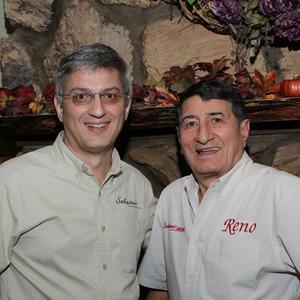 There Reno with the help of his family and his mother Antonietta’s recipes operated a successful small town pizzeria called “Roma’s Pizza” and raised a family there. 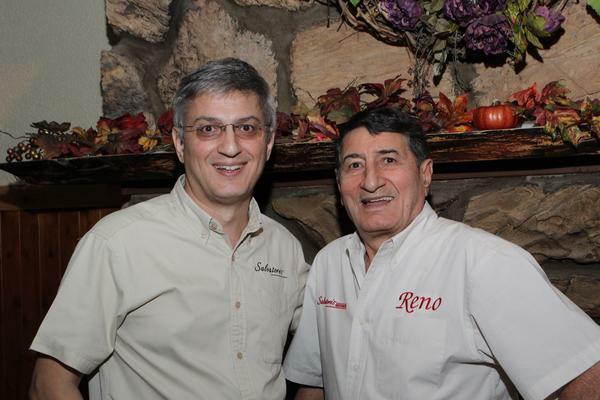 In 1983 with Claudio off to college; Reno sold his business and moved back to Italy with his wife Enza. After a couple of years he realized his love for the States and with Antonella eager to come back, settled in Muscatine. 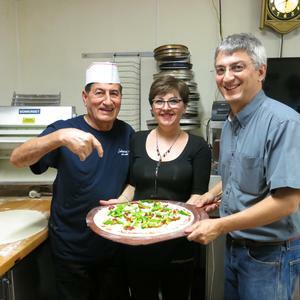 Reno created his adventure in Muscatine and called it Roma’s Pizza. 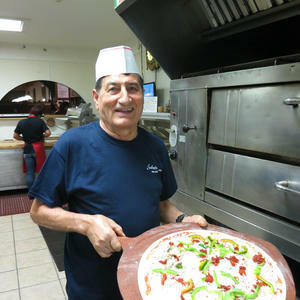 It was located at 203 W 2nd St and with the help of his family, soon Roma’s became a successful pizzeria. 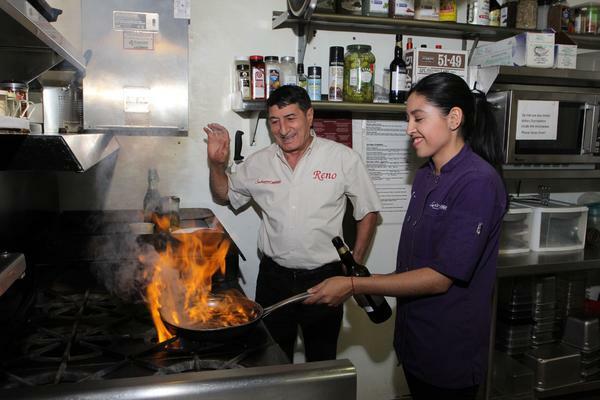 In 1993 Roma’s moved to its current location at 313 E 2nd St and Reno gave Claudio his blessings to make the new adventure as successful as possible without ever forgetting family values. 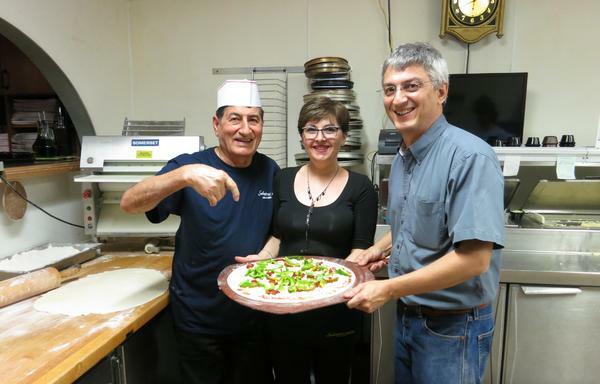 Roma’s becomes Salvatore’s Ristorante. The family presided the business for the longest time and currently Claudio operates Salvatore’s Ristorante. 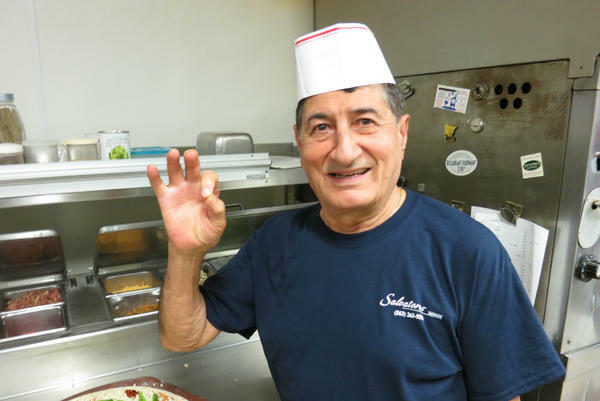 So if you want to visit Salvatore’s and listen to some of Reno’s tales or even have Reno make you some fresh “pasta al pomodoro” come and visit us at downtown Historic Muscatine. 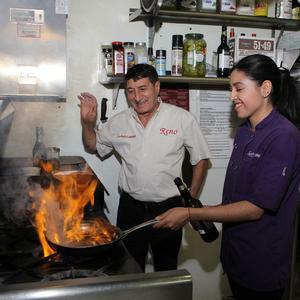 The family and friendly staff will try to make your experience as pleasant as possible, Italian style. 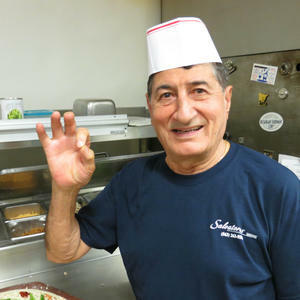 Salvatore’s has always been a family tradition. You will meet many of the other Vitale family members inside the trattoria as well, helping with your service or lending a hand in the kitchen. Our homemade food comes from recipes that have been passed down from our grandmothers. 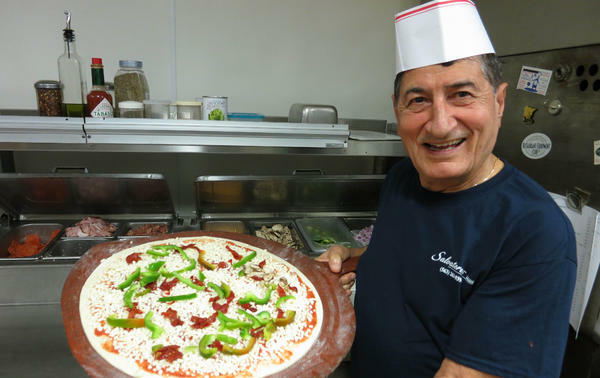 Reno is now 82 and still oversees making the pizza dough fresh daily in our kitchen, alongside bubbling pots of homemade sauces that are created from scratch. Domenica creates mouth-watering dishes from recipes passed down over the generations. 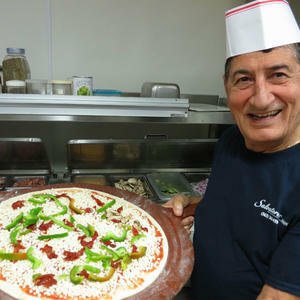 Reno even enjoys creating unique new dishes to satisfy customers like you, everything’s made fresh, right here at Salvatore’s. The grandchildren, well that is another story, Sabrina is now pursuing her career as a BSN. She still helps the family restaurant when in town. Anthony is a Senior at Muscatine High School with a passion in Science, Scholastic Bowl, American Trap, School Swimming, Guitar and etc. You will often find him at the restaurant working close to his grandfather. They are both set on learning as much as they can from their grandfather, especially his ethics and cooking skills. This is all happening while he is telling them some old stories about his young days.